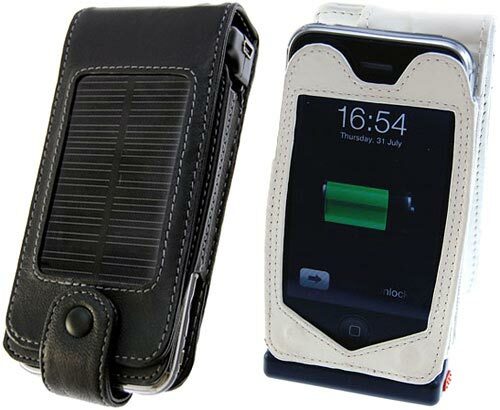 Here’s a useful accessory for your 3G iPhone, the iPhone 3G Solar Charging Case. As any owner of the new 3G iPhone knows, the battery life is less than spectacular, so this case with a built in solar charger may be a good solution. The case is capable of fully recharging the iPhone and it also has a built in 1500mAh battery which can be used to recharge the iPhone when there is no sun. It also features a mini USB cable so you can recharge other gadgets. The 3G iPhone Solar Charging case comes in a choice of black or white and is available to buy online for £27.95 about $46 from Mobilefun.